John Carmel Heenan’s ambition was to be a parish priest yet he became Archbishop of Westminster and a Cardinal of the Catholic Church. Ordained for the Diocese of Brentwood, Heenan’s energy and literary and oratorical skills combined to take him out of the routine of parish life. After four years as Superior of the Catholic Missionary Society, in 1951 he became Bishop of Leeds where his abrasive style earned the diocese the epithet of ‘the Cruel See’. As Archbishop of Liverpool from 1957, Heenan administered an extensive archdiocese, fostered ecumenism, became involved in local politics and initiated the building of the Metropolitan Cathedral of Christ the King. He became Archbishop of Westminster in 1963 and was raised to the College of Cardinals in 1965. As leader of the Catholic community of England and Wales, Heenan assumed a national prominence on a par with his friend Michael Ramsey, Archbishop of Canterbury. The Catholic world into which Heenan was born and educated and in which he had ministered, was transformed during his period at Westminster. It was not a time he enjoyed. Rapid social change and radical legislation ignored Catholic teaching and placed bishops on the defensive. Long-held certainties of belief and authority were breached and Heenan found it difficult to comprehend. 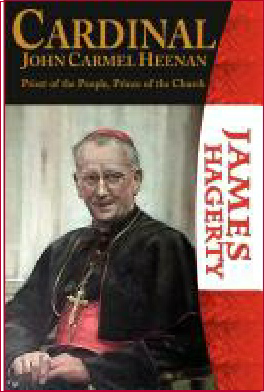 This vivid biography recalls the life and ministry of a humane and dedicated priest who remained loyal to his faith and his Church throughout the most dramatic political and ecclesiastical events of the twentieth century.